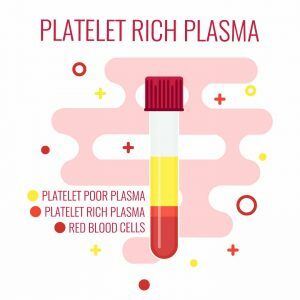 Platelet Rich Plasma (PRP) is a fairly young treatment program, however, there is a good reason that it is being investigated in the treatment of debilitating muscle and ligament injuries. PRP has shown huge potential in the spurring on of cell regrowth, and it is that technology that is being brought to South Africa through Advanced Hair Studio’s team of industry-leading consultants and surgeons. Our flagship treatment which uses this technology, Advanced Hair Studio’s Revolutionary Stem Cell Hair Technology Factors, is currently helping thousands across the country, and could be the key to restoring your hair. Read on to learn more. How Are PRP Stem Cells Used In Hair Loss Therapy? Stem cells are undifferentiated cells which can be used to target and address a number of issues. Stem cells are useful because they can be developed into a variety of cell types. In situations where there is a lack of a particular cell type, this form of therapy can be used to restore levels to an appropriate standard. PRP therapies are gaining a lot of traction in the treatment of complex, multifaceted injuries. It is going to take some time for overwhelmingly affirmative results to be established, however, as PRP treatments gain in popularity and more tests are conducted and analysed, we will finally be able to affirm what we have seen to be true all along – PRP therapies work. Throughout the internet, the consensus on PRP treatments is largely positive through its use for a range of cosmetic and athletic purposes; however, for hair loss, it is best to contact us in order to see our user reviews and our catalogue of successful treatments. At Advanced Hair Studio, we let our work do the talking. Have a look at the differences in hair volume before and after to see whether you think this could be the treatment for you.